The myths and legends of four continents are vividly brought to life in illustrated encyclopedias that inform, delight and intrigue. 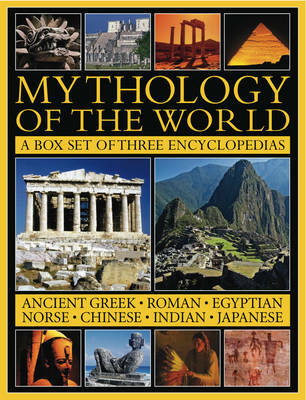 The encyclopedia of classical mythology describes the central mythical figures of Ancient Greece and Rome, the Celtic heroes and the Nordic gods. The volume on the mythology of the American nations describes the belief systems, sacred spaces and rituals of the North American Indian and the Inuits, and of the Aztec, Inca and Maya nations. The guide to the myths of India, Egypt, China and Japan presents some of the most powerful and evocative mythologies and religions from the mystical Middle and Far East, with exciting tales of gods, spirits, demons and black magic. Each volume is structured in an instantly acesible A-Z format, with 1500 colourful photographs, maps and paintings.